If the people behind the Witcher series of games hadn't built up such a reputation for being no-nonsense and straightforward about everything, I'd almost think CD Projekt Red co-founder Marcin Iwinski was trolling gamers in a recent interview with Eurogamer. In just a few sentences, Iwinski steps aside the raging debate fanboys are having right now about resolution and framerate as the primary evidence of whether or not a game is "next gen."
When asked about the performance of his company's upcoming RPG across Microsoft and Sony's new consoles, Iwinski said that the team is still "squeezing the juice" out of the consoles and that Microsoft is supporting them in that respect. "The final effect, whether it's 720p, 1080p – we had the debate in the studio about it and actually asked our tech guys to explain how it works, and they sent me some complicated graphs that 'if I have this size of the screen, and I sit one meter or two meters from it, then I might be able to see the difference.'" Iwinski then went right to the heart of the issue, explaining that these resolutions are more a public relations tool than something that is actually meaningful to most gamers. Iwinski said that this "is very important for Sony right now – and they are using it." Instead of putting artificial blocks on getting the game to perform at a certain level across both consoles, the team plans to try to get every ounce of power they can out of each system. "Will there be big differences? Really I don't think so. It's too early to say. If there will be, they will be tiny." As it always is with this type of thing, though, PC gamers are the ones to win out. If your rig is powerful enough, things like 1080p and a mere 60 frames per second are no longer relevant. 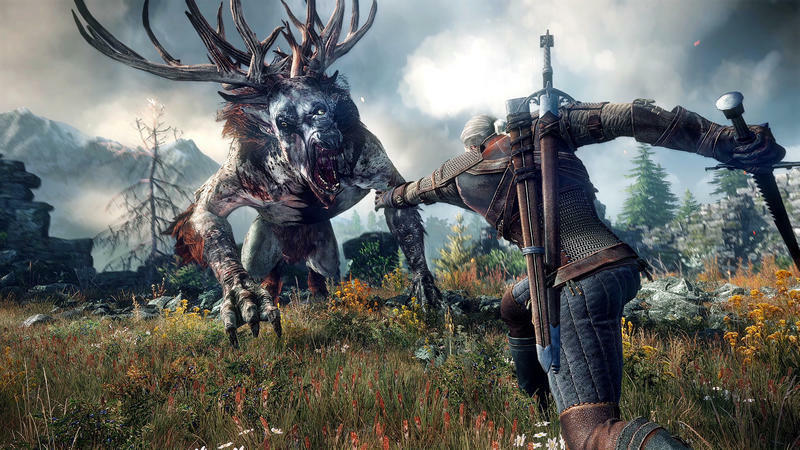 The Witcher 3: The Wild Hunt was recently delayed from a Fall 2014 release to February 2015 to give the team more time to polish the game, but will release on PC, PlayStation 4, and Xbox One when it does finally hit shelves.